It's been an interesting couple of weeks weather-wise here in Bear Valley. Cold for a couple of weeks; a whole bunch of snow--almost 3 feet in 5 days, followed by 50mph winds and +40ºf temperatures the last couple of nights with rain. This morning at 5:30 am there was a pretty good 4.6 magnitude earthquake that gave the house a nice, sharp jolt. 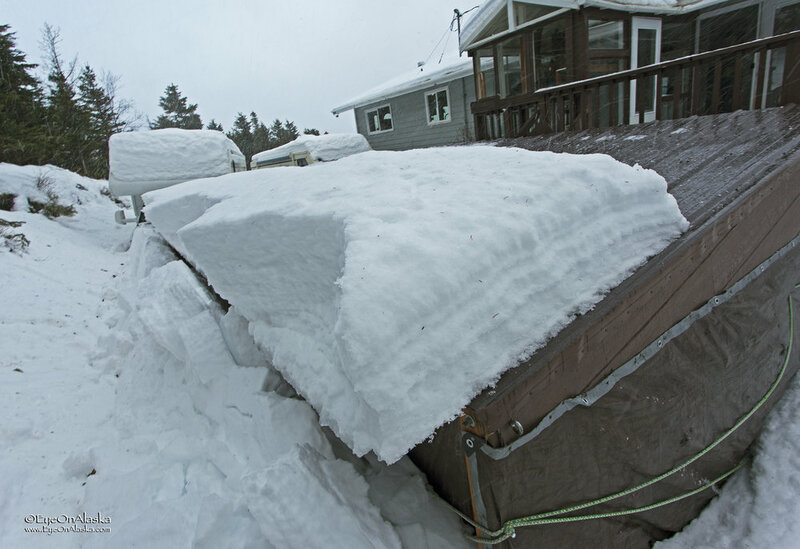 Gravity took over and we've had a nice avalanche off the slippery metal roof of our woodshed.